I adore pumpkins. Seriously. I think they're so adorable and fallish and half of what I grow in our limited garden each year is different varieties of pumpkins. Just so I can heap them all over our porch and mantel. I love to eat them, I love to draw them. I have more pumpkin decor than anything else in my very small home decor collection. And today I'm sharing the pumpkin love. 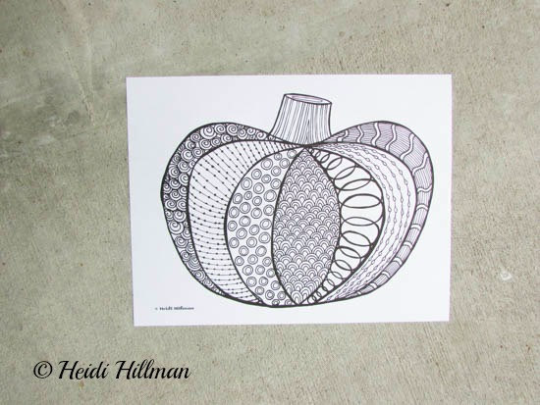 This hand-drawn pumpkin coloring page began as a doodle in my sketchbook. 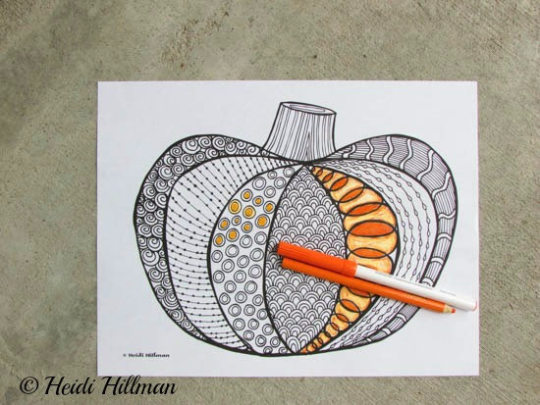 It's the perfect page to color and display for autumn decor! It was so fun to design and even more fun to color. Print on any kind of paper you'd like and fill in with paint, watercolor, pastels, crayons, colored pencils or whatever strikes your fancy. (My favorite products are linked above). I've teamed up with 32 amazing bloggers to knock your socks off with printable goodies for the holidays. We've prepared a huge bundle for you with everything you'll need to make Thanksgiving, Christmas and the New Year easier, more meaningful and beautiful. What more could you want? ;) The sale starts October 11th and it only lasts 3 days. Prices go up each day so you'll want to jump right on it! I'll share more details tomorrow. Here are just a few of the darling Thanksgiving printables that are included. That's my Thanksgiving Countdown in the upper left corner! It's such a fun tradition that our family looks forward to every year. I know you're going to love it!